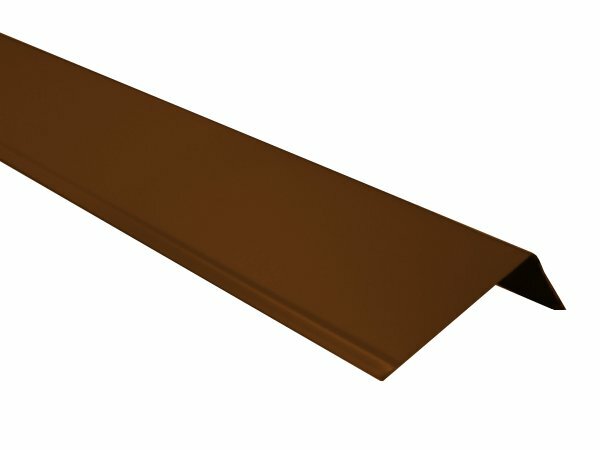 Designer Copper Aluminum Gutter Flashings are installed underneath the roofing and into the gutter. The gutter apron keeps the water from running behind the gutter. Gutter Flashings are 2"x3" x 10 ft. long and are bent at a 35 degree angle.